The European Southern Observatory (ESO) and its Science Outreach Network are collaborating with the science communication event organiser Sterrenlab to arrange the second ESO Astronomy Camp — Measuring the Universe. The camp will take place from 26 December 2014 to 1 January 2015 at the Astronomical Observatory of the Autonomous Region of the Aosta Valley, located in Saint-Barthelemy, Nus, Italy. Several partners, including ESO, are providing bursaries that will be awarded to the winning applicants. The camp will explore the theme of distances in astronomy through lectures, hands-on activities, and nighttime observations with the telescopes and instruments at the observatory. Social activities, winter sports, and excursions will contribute to making the camp a memorable experience for the participants. ESO will be responsible for the scientific programme for the ESO Astronomy Camp, and will provide lecturers and material together with several other partners. A registration fee of 500 euros covers full board accommodation at the hostel in Saint Barthelemy, supervision by professional staff, all astronomical and leisure activities, materials, excursions, internal transport, and insurance. Bus transport between the observatory and the airport of Milan Malpensa will be provided. The fee does not include travel costs between the student’s home and Milan Malpensa or Saint Barthelemy. The camp will accommodate a maximum of 56 secondary school students aged between 16 and 18 (born in the years 1996/7/8) from the ESO Member States and ESO Science Outreach Network countries. A limited number of places will be available to students from other countries, but they will not be eligible to receive the ESO bursaries. Students wishing to apply should fill out the form on the Camp website before 20 October 2014. Eligible students who wish to apply for a bursary should in addition send a one-page text or a video explaining why they deserve to win. The selection of the candidates will take place on 31 October 2014. Final confirmation from the participants that they will attend will be due by 10 November 2014. The selection criteria and other instructions for participation are given on the Camp website. 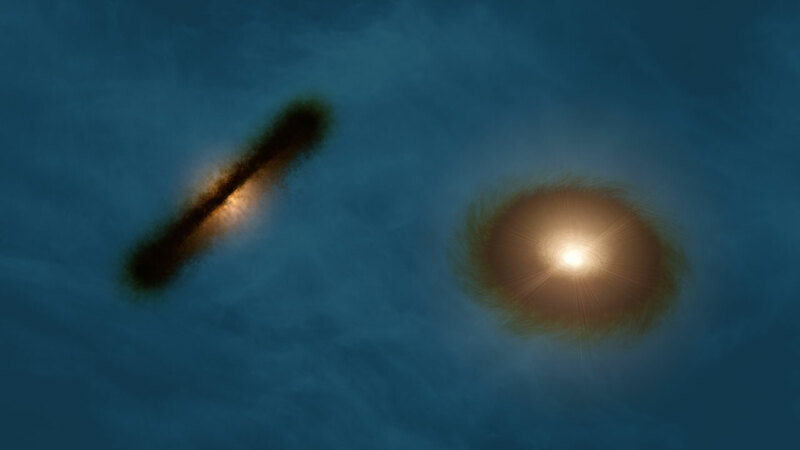 More information HERE (at ESO website). 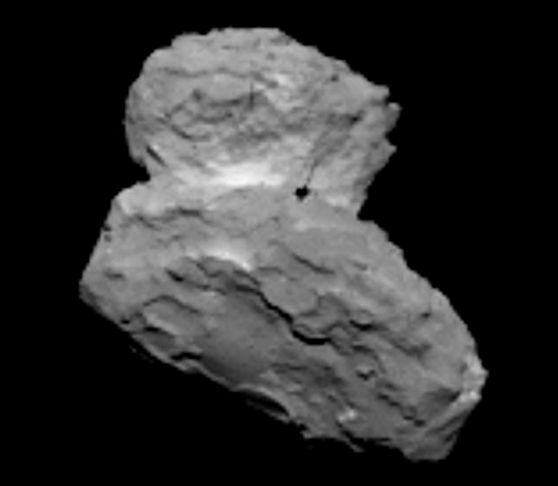 OSIRIS narrow angle camera view of 67P/C-G from a distance of 1000 km on 1 August 2014. Note that the dark spot is an artefact from the onboard CCD camera associated to bad pixels. Artist’s impression of the discs around the young stars HK Tauri A and .